Southern California Gas Co. on Dec. 18 issued a “SoCalGas Advisory,” asking customers to reduce use of natural gas to lower the risk of gas and electricity shortages during a cold snap. It lifted the advisory two days later. “Working with our customers and suppliers, we were able to manage our system to deliver reliable heating and electricity to our region during this recent cold snap,” said a SoCalGas spokesperson. California and New Mexico have asked a federal court to allow them to join a lawsuit over a final rule issued by the Interior Department that reduces venting and flaring from oil and gas operations on public and tribal lands. The states support the position of the Department’s Bureau of Land Management, putting them in opposition to the stance taken by Montana, North Dakota and Wyoming, which in November filed the lawsuit opposing the rule in the U.S. District Court in Wyoming and seeking an injunction against its implementation by the BLM. 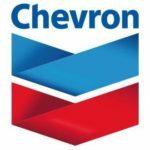 Chevron Corporation (NYSE:CVX) announced a $19.8 billion capital and exploratory investment program for 2017, including $4.7 billion in expenditures by affiliated companies. “Our spending for 2017 targets shorter-cycle time, high-return investments and completing major projects under construction. In fact, over 70% of our planned upstream investment program is expected to generate production within two years,” said Chairman and CEO John Watson. 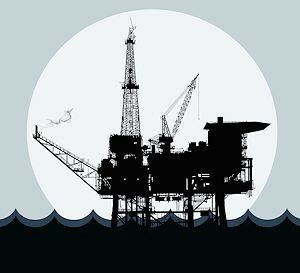 The Department of the Interior’s Bureau of Ocean Energy Management (BOEM) has released its final plan to guide future energy development for the Nation’s Outer Continental Shelf for 2017-2022. The Proposed Final Program offers 11 potential lease sales in four planning areas, including 10 sales in the portions of three Gulf of Mexico Program Areas that are not under moratorium and one sale off the coast of Alaska in the Cook Inlet Program Area. The Beaufort and Chukchi Seas planning areas in the Arctic are not included in the Proposed Final Program. The Air Resources Board (ARB) has released for public review revised drafts of its Short-Lived Climate Pollutant Reduction Strategy and the related Environmental Analysis. The ARB will hold a series of public workshops and hearings on the revisions. The Los Angeles County Board of Supervisors has sent a letter to state regulators, urging them to deny the request by Southern California Gas Co. to resume injection of natural gas into its Aliso Canyon underground storage facility. SoCalGas has proposed restoring operations at Aliso Canyon, the largest such facility in the state, following extensive repairs in the wake of a four-month gas leak that displaced thousands of residents.